Rent an Audi A5 with Be VIP and set off on a spirited escape. Let loose as you drive with the top down and your favorite tunes turned up. 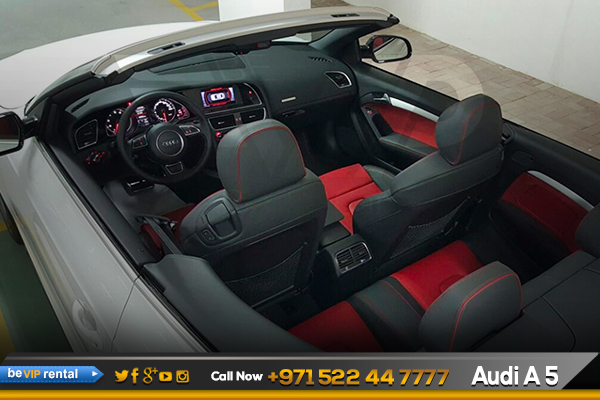 For an emotional ride that captures the feel and fun of the open road opt for an Audi A5 convertible rental. 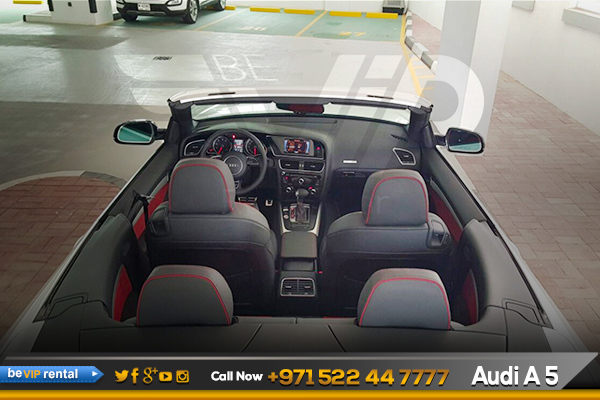 If you prefer an enclosed vehicle, Be VIP also offers the Audi A5 coupé for Rent in Dubai. This model is perfect for making an impression on a business trip or feeling smooth on your next vacation. 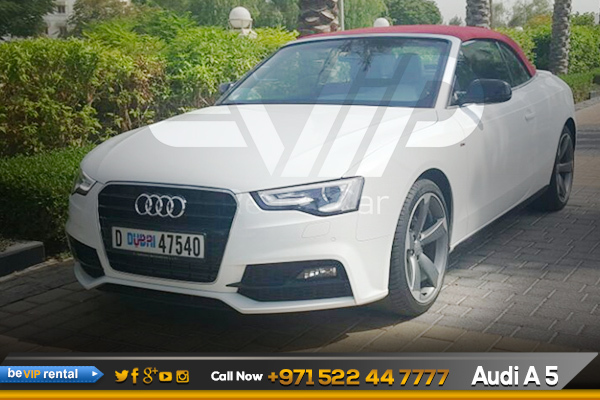 Get a first class driving experience at economy price with an Audi A5 rental from Be VIP Rent a Car in Dubai and save with our discount coupons and latest deals. Or cut costs by booking and prepaying online or with long term Car Rental in Dubai. Useful add-ons like GPS, child seats, additional driver coverage and more can also be included to enhance the drive. 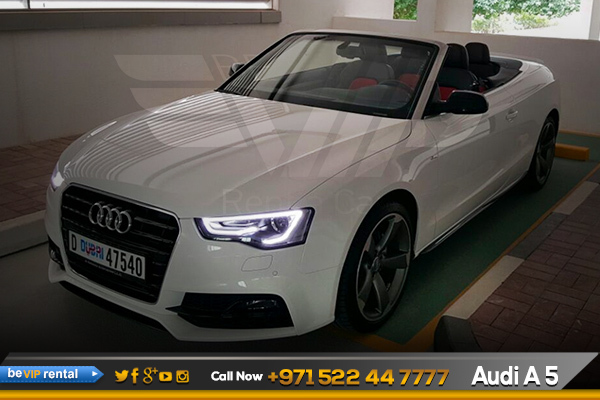 Make your dream come true by driving such an elegance beauty, rent a Audi A5 in dubai. Down the road, we expect to see the powerful Audi A5 from Audi A5 family. 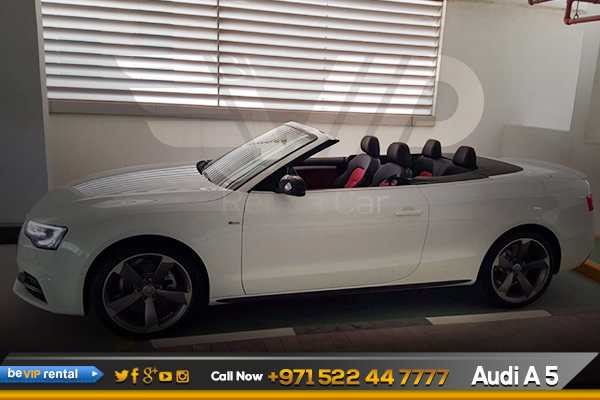 Make it possible for you too, Now we offer Audi A5 rental in Dubai including Audi A5 Rental in Abu Dhabi and all over UAE. Book Now! And get an exotic Audi A5 rental in Dubai.